Hi, hedge laying season is here. 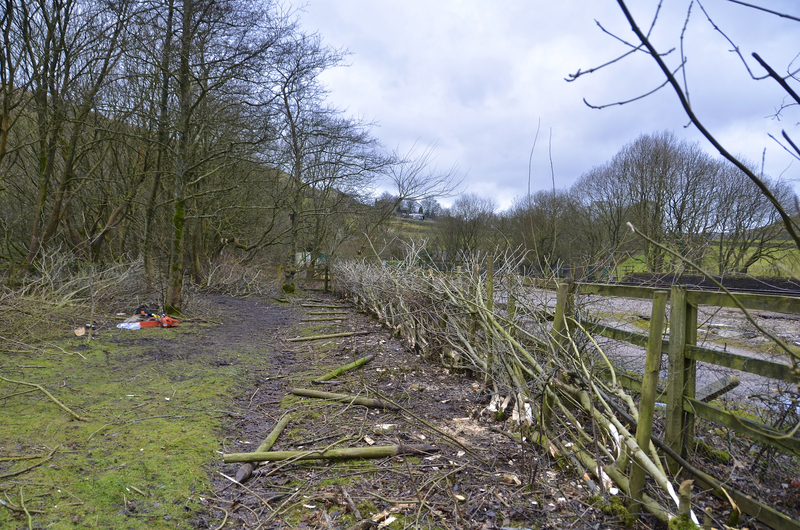 Ive just finished moving/laying a hedge in Diggle. It was a difficult hedge as I had to change its direction of growth by almost 3 feet while retaining as much growth as possible. If you have a hedge that you would like repairing or laying please get in touch (more detail and outline costs are on the Hedge Laying page. The land rover repair continues at a steady pace – it now has the axle in the right place and a new front driver’s side leaf spring.